Medblogging For The Busy Professional: How, Why? It seems pretty easy for me to blog right now during school since we cover so many topics. During almost every class, I get an idea and think about what a great blog post it would make. Hopefully I'll still have time for blogging when I'm a full-time dentist. To be honest, I thought your read great - It didn't sound choppy at all. I have my wife do editing as well! Ever since then, she's been proof-reading for me. Thanks for the update. I’ll be sure to check it out soon. Trying to implement/launch as many Dentist marketing strategies as you can all at once (with the intention of doubling your business), is a plan to fail. It's impossible to do, and you shouldn’t try to do so. Why? You simply cannot focus your attention on all of the details of each specific marketing strategy all at once. Your efforts will be diluted and will produce far less than if you focused on one or two efforts at a time. Any other good blogging tips? You've done an excellent job with this one! Just wanted to tell you what a great resource your blog has been. I was a public health dentist for 3 years, then I started thinking about going back and specializing in Pediatric Dentistry. I went to Google and found your blog. I started reading for insight into what it was like to be a Pediatric dentist. What I found was so much more. I caught the social media bug. I came up with an idea, if I did commit to going back, I would look into putting together a blog detailing the life of a Pediatric dental resident. I started a program in Pediatric Dentistry in July, as a result, I learned how to build a website. I came up with a title and domain www.wiggleyourtooth.com, with a goal to provide insight into the life of a resident. I think that this will be beneficial for people thinking of entering dental school or applying to specialty programs. Working on this site has opened me up to the whole world of blogging and social media. Learning how to write code is a whole world on to itself. 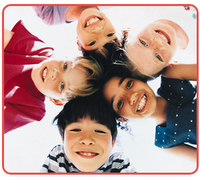 I hope that as time goes on, my skills as a Pediatric Denist and blogger continue to grow. Anyhow, I just wanted to say thanks for the inspiration. If you get a chance, check out the website and let me know what you think. Wow Dr. D. That is a great comment. I am glad you have something of value here, not only something informative, but evidently inspirational. Your blog looks great. It's a good start that could be a first person perspective on the travails of a pedo resident. 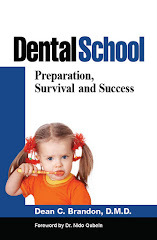 Just next week I will have a book out (and available on Amazon), onDental School. Look for it here on the blog. There is a whole chapter on social media and another on specialty residency. There is also a lot on the business of dentistry once you graduate. Good Luck!